With school ending and summer vacation in full swing, Arbordale Publishing is once again kicking off their summer reading program. This year they have 10 dual-language ebooks free on the website, paired with activities to inspire outdoor fun. 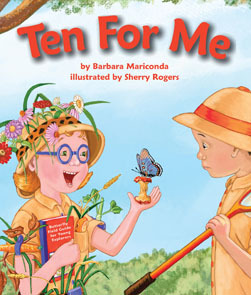 Arbordale Publishing has handpicked 10 books that showcase animals found in your backyard and others that might require a trip to see. Either way, learning about nature is always fun. Go from the screen to outside for a scavenger hunt, start your own kids' book club, or learn about seashells even if you can’t get to the beach! I received no compensation for this post. This post is in partnership with Arbordale Publishing. Please do your own research before purchasing products or using services. Your opinions and results may differ. I will have to tell my DIL about the summer program. I will look for their giveaways. 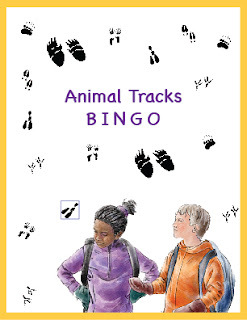 My granddaughter would like the animal track book. That's her favorite thing to do when she comes to our farm is look for all the different animal tracks.